Commissions range from private roof gardens to interesting and iconic commercial projects including public spaces and country estates all over the UK with international projects in Russia, Hong Kong, Rwanda, Europe and the Middle East. Our work is frequently featured on television and in books, magazines and newspapers worldwide. Andy has won seven RHS Gold medals at Chelsea Flower Show in 2005, 2006, 2007, 2008, 2010, 2012 and 2016 (he was also awarded the coveted ‘Best in Show’ award in both 2010 and 2016). Both The Sunday Times and House and Garden Magazine place Andy in the Top Ten list of landscape designers in Britain with recent accolades including Gold Awards from Singapore, Korea and Philadelphia and three of the top awards from the UK’s Society of Garden Designers in 2014. Other awards span Health Care, Lighting and Swimming Pool Design with Principal Awards from the British Association of Landscape Industries (BALI) in 2005, 2007, 2008, 2009 and the Supreme Award from the Association of Professional Landscapers in 2007. Andy also won two International Gold awards from the American Association of Professional Landscape Designers. Andy lectures around the world. 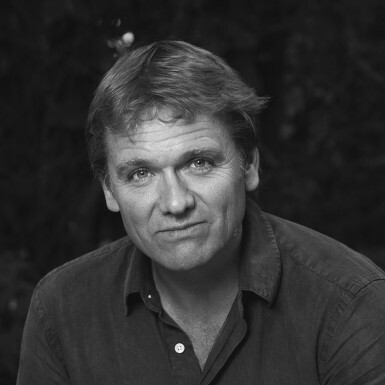 He is a published author, journalist and broadcaster and an active commentator in the international garden design sector. He frequently sits on judging panels for a broad range of design genre from Architecture to Hotel and Bar design. Andy has also presented gardening programmes for all the major channels including Chelsea Flower Show for the BBC since 2005. He is a freelance journalist and has been a columnist for the Guardian, Daily Mail, Daily Express and Sunday Times. His first book Planted shook-up the world of garden publishing with its ground-breaking approach and fresh outlook. His second book Potted helped revitalise the tarnished image of indoor plants by positioning them as stylish, indispensable features of interior design. More recently, he published the widely acclaimed Big Plans, Small Spaces. A book on larger landscapes is on its way. Before graduating from the Welsh College of Horticulture in 1987, Andy worked at The Royal Horticultural Society Garden Wisley, and as a landscape gardener. Andy has travelled extensively in order to observe gardens and plants in their natural habitats. Highlights include a plant hunt in Madagascar and a seed collecting expedition in Kenya for the Millennium Seed Bank. Andy is a Registered Member and Fellow of the Society of Garden Designers and a BALI registered designer.